Join hundreds of companies and buy the United Kingdom data retention subscription. 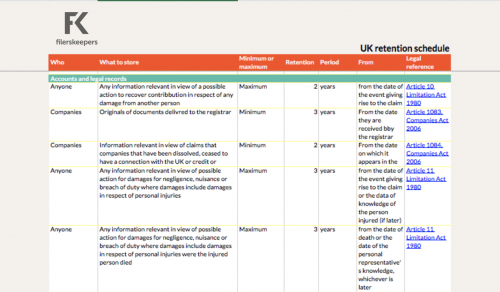 It includes all data retention periods applicable in the United Kingdom. From the UK Limitation Act down to the Borehole Sites and Operations Regulations. You will know exactly how long to store your data in the United Kingdom, whether it concerns e.g. your accounting, fiscal, HR, CRM, or personal data. 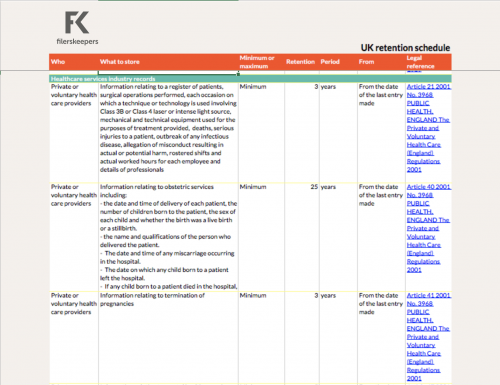 Subscribe now and instantly download the United Kingdom data retention schedule! All information you need to confidently decide how long to store your data in the United Kingdom. 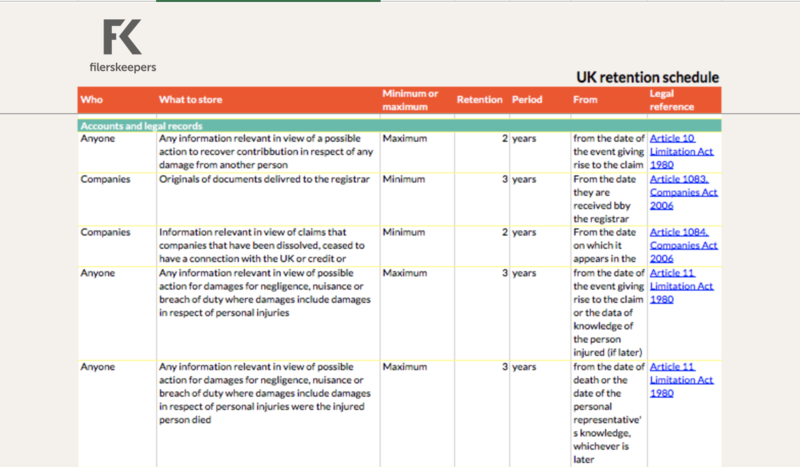 The United Kingdom data retention subscription is up to date and updated frequently. 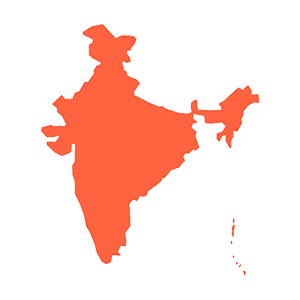 Combine various country schedules to establish your global data retention policy. All in a handy Excel format. This way, you can adjust, add or export elements to share with your IT or business. Also, you will be able to combine different country schedules. For example, you could merge all ‘accounts and legal records’ data retention periods from your country schedules into one Excel. 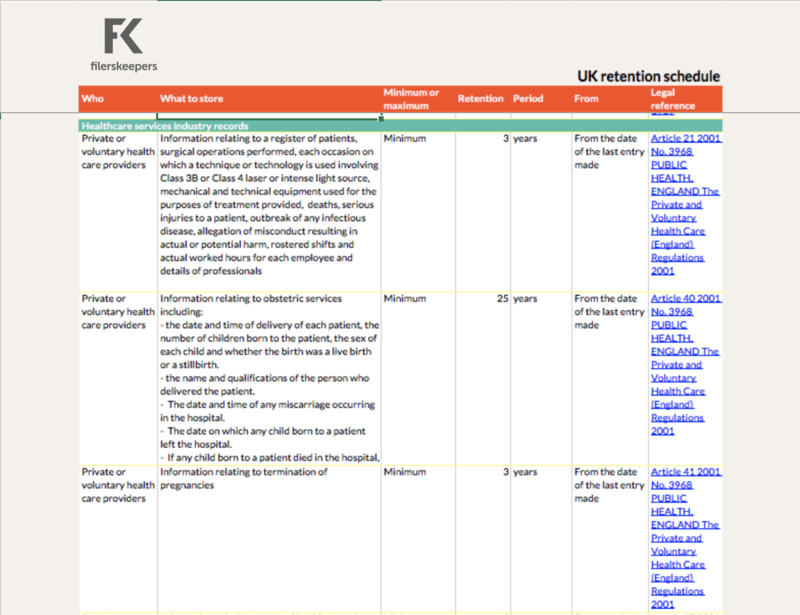 If you subscribe to the United Kingdom data retention subscription, you will be able to download this retention schedule directly and again if you ever misplace it. the United Kingdom is an EU member state. The GDPR applies directly to all companies in the United Kingdom. Data retention is of key importance in order to get control over your data and comply with the GDPR. The GDPR says about data retention: “personal data may not be kept in a form which permits identification of data subjects for any longer than necessary for the purposes for which the personal data are processed“. Companies will need to ask themselves: what is the shortest data retention period my company could implement before it gets into trouble? 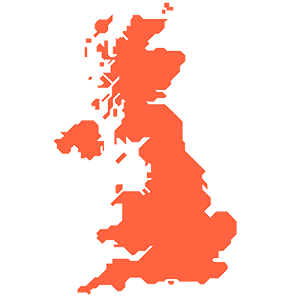 If you do not want to receive and enjoy updates to the schedule, we recommend buying our the United Kingdom data retention schedule. filerskeepers country schedules are one-off per country excel files which allow you to maintain the schedule yourself. 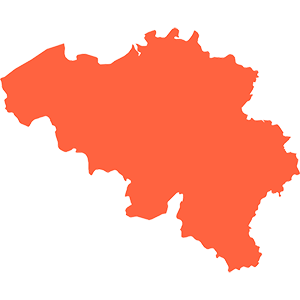 If you are active in more countries than the United Kingdom, we recommend our Unlimited subscription. With Unlimited, you will receive access to all currently published retention schedules, and all new ones as well! 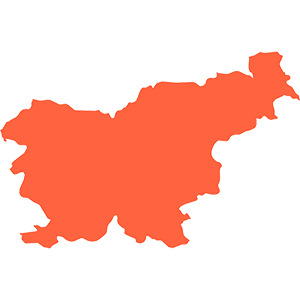 If you are curious as to which countries we are planning to publish next, please see our roadmap. For more information about our one-off schedules and subscription models please see pricing.